Are you looking for the perfect gift to give someone you love and adore? Well, your wait is over: presenting to you PVR Gift Cards: the perfect gift for every occasion! PVR Ltd. is the largest and the most premium film exhibition company in India. Since its inception in 1997, the brand has redefined the cinema industry and the way people watch movies in the country. Currently PVR operates a cinema circuit of 617 screens at 133 properties in 51 cities in 18 states and 1 Union Territory. Why do we think they’re the best thing to give someone as a gift? Because with this, you give the chance to spend quality time watching a great movie of their accord, you would like that for yourself too, wouldn’t you? PVR Gift Cards- The Most Entertaining Gift Ever! There is nothing better than giving someone the chance to spend some quality time and relax away from all that stress. 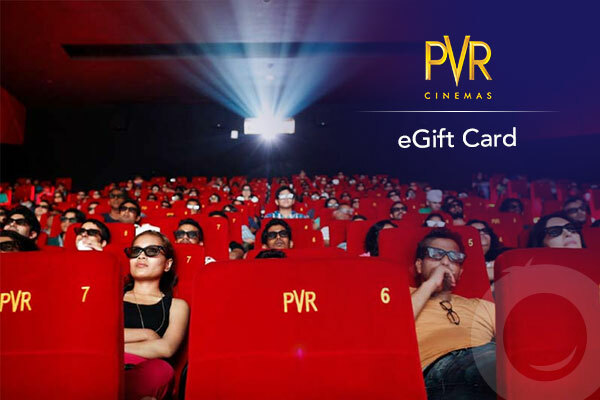 PVR Gift Cards provide you with a perfect reason to breakout from the monotony and spend a couple of hours watching the movie of your own choice. PVR Gift Cards also provides with the best way to express your gratitude, apology and appreciation to someone. It’s the new times and herein, Gift Cards are one of the best gifts one can give to someone. Be it festivals or recognition, this is a one size that fits all! Why Choose PVR Cinemas For Gift Cards? PVR Cinemas is one of the most prominent theatre chains in India and offers a variety of amenities including surround sound, exclusive screen, comfortable seating, deluxe seating, food courts and a lot of other things! The largest cinema chain in India; from PVR’s Gold Class and Mainstream Cinemas, Director’s Cut to the latest format- PVR Icon, the company has made exceptional technology like the IMAX® and the ECX (Enhanced Cinema Experience). They also made 4DX accessible to its audience. If you’re a movie buff who thinks watching cinema is great, you cannot miss this opportunity! With a humble beginning in 1997, the Priya Exhibitors Private Limited and Village Roadshow limited came together to form the Priya Village Roadshow (PVR). Today, PVR serves as the benchmark to luxurious and elite cinema watching experience in India. Changing the cinema viewing experience for the entire country, PVR has a strong presence all around the country with 625 screens in 134 locations across 51 cities including metropolitan cities like Delhi, Hyderabad, Chennai, Bangalore, Mumbai and smaller cities like Bhopal, Vijayawada, Kanpur, Hubli etc. Buying gifts online makes life far easier. It eliminates the extra time and effort it would cost to jump from store to store, looking through each store etc. However, the downside surfaces only once you’ve finished shopping, in the form of waiting for the delivery. With a PVR gift card from GrabOn, the gift will reach the receiver with in half an hour! With a team that ensures your gift card reaches as soon as possible, the next time you forget to buy somebody a gift, and don’t have the time to go shopping for one, you now know just what to do! You can just take a print out and there you have it! An instant physical gift! Combine Deals and Discounts With Gift Cards! 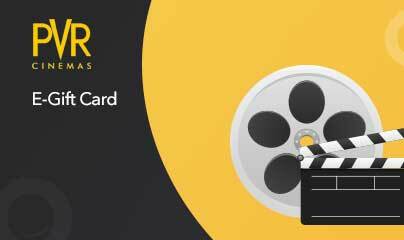 PVR Gift Cards are already very affordable and reasonable but if you’re looking for some brownie points, here are some great deals, discounts and amazing offers from PVR Cinemas Gift Cards through GrabOn. Combine you Gift Card powers along with the tested and verified coupon codes to redeem the best possible price! Check out the best of them here! What can I do with a PVR Gift Card? The PVR Gift Cards are the best gifts for your movie enthusiast friend. These cards can be used to purchase tickets, food & beverages at the PVR cinemas. This is a prepaid card and it can be purchased to gift someone special or you could redeem it yourself. The gift cards are available at denominations: Rs 300 to Rs 500. 1. How does one get their PVR gift card or voucher? From a list of available Gift Card denominations, select the one you want. The PVR gift card will be sent to the respected recipient once your payment transaction is complete. 2. Can I use my PVR e-gift voucher or card to purchase food and beverages? 3. How can I make use of my PVR gift card or voucher? 4. Can I top up my PVR e-gift card? 1. What do I do if the order is cancelled or my transaction fails but the amount gets deducted? 2. What happens if the transaction amount is lower than the balance in my Gift Card? If the order total is less than your gift card value, the specified total cart amount will only be deducted. The remaining amount can be used for your next purchase. No refund of cash will be made for any items purchased with the E-gift card. E-Gift card cannot be used to purchase movie vouchers and candy bar vouchers. This E-Gift card can neither be redeemed for cash or credit nor would any unutilized balance be refunded & cannot be exchanged for a Gift card. In case the value of the service exceeds the value of the Gift card, the difference must be paid by credit card or debit card. If the E Gift card is lost or stolen, neither will a new E Gift Card will be issued nor will the money be reimbursed in any manner.